South Indian Bank Jobs Recruitment Probationary Clerk Online Appliction Form download Details are given below. South Indian Bank Probationary Clerk Jobs Recruitment : South India Bank has Published a Jobs Recruitment for the Post of Probationary Clerk for Bank`s Ahmedabad Region Online Application Form Download. South Indian Bank Probationary Clerk Jobs Recruitment Online Notification Last date 20-11-2013 to 02-12-2013. South Indian Bank Probatonary clerk Jobs Recruitment 2013 online Application Form Download Complete details are given below. Education Qualfication : The applied Candidates Should be must passes Graduate from recognized University having Completed a regular 10+2+3/4 Course Securing at least 55% Marks in Science /Engineering Stream or 50% Marks in Arts / Other Stream, Proficient in Computer Operation. Selection Process: South Indian Bank Online jobs Recruitment the Applied candidates will be selected based on their performance in interview and written test. Application Fee: The applied Candidates have to pay the application fee of Rs. 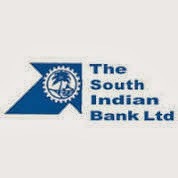 250/-, for General Candidates and Rs.50/-, for Sc, ST in the form of Demand Draft favouring South India Bank ltd.
South Indian Bank Probatinary Clerk jobs Recruitment 2013 online Application Form Details given below. how to apply : the applied and interested Candidates can apply online form 20-11-2013 to 02-12-2013. and send their Printed application, pass photograph , duly sign with all relevant certificates, dd in an envelope super Scirbed as " Application for the Post of Pro clerk Applicaation ref ID- Dy general Manager , The South Indian Bank Ltd.